I enjoy thrifting, and buying used, much more than buying new and paying full, retail price. If I can get something handmade or vintage, that is even better! I thrifted this sweater from GoodWill for $3.50. I just love cable knitted, grey wool sweaters. When I got home, I noticed the label. Nice, I thought. Turns out, it retails for over $220.00! I wore it out for our walk Monday morning. Later in the day it hit 74 degrees out, so I am thinking this sweater is good luck! I found these two vintage plates for 45 cents each. I love them. They remind me of my Nanny. I have no idea why though. As far as I know, she never had plates like these. I am not a gun nut like my hubby, but I do know how to shoot. I actually taught him how to hunt and process deer the very first winter we were together. I am just a sucker for pretty fire power. And I still have this childhood fantasy of being like Annie Oakly. They could call me Hannie Oakly! way cheaper than it would have been new. I feel it fits her funky, free spirited style very well. She was pretty excited to show wear it to Nana's house to show her. Welcome to this week's Eco Kids Tuesday!! Last week we had so many GREAT links!! I visit each and every one of them and glean so many good ideas! It is so hard to pick features... I want to highlight them all! But since I just rcovered for a horrible stomach virus (sickest I have ever been) I am going to highlight a few health related posts! 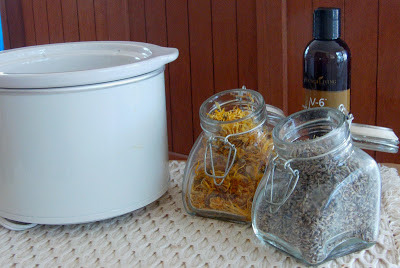 wildflowerramblings shows us how to make a healthy chicken stock. I credit my own previously made and frozen broth with helping me recover! That and an oj/coconut water mix helped me overcome some pretty serious dehydration issues. 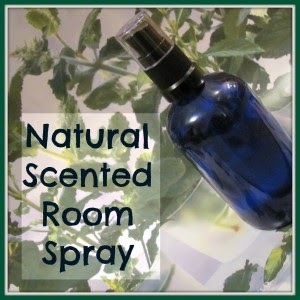 Creative Christian Mama shared her recipes for essential oil room sprays. How wonderful these will be for future sick days! Jo's Health Corner shared a reciped for Healing and Relaxing Infused Oil. I needed some St John's Wort Oil rubbed into my cramping muscles, but would have loved to have had some delicious smelling oils as well! And last, Mama Rosemary shared a lovely ginger footbath. I hope that you'll share some great family-friendly posts that are also friendly for the environment. Thanks for hosting and thanks for featuring my blog post. 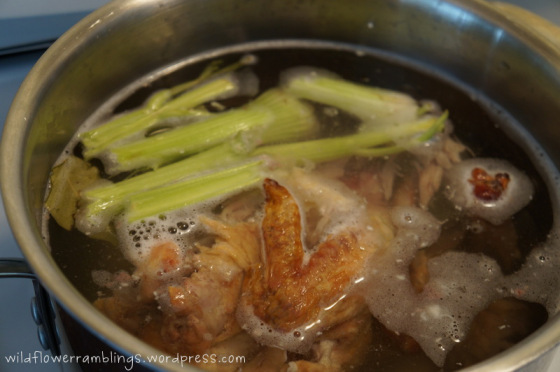 Hannah, thank you for featuring my post on making chicken stock <3 My son loves to drink it from a sippy, so it's very child-friendly :) Love this linky! Thank you for hosting! I'm sharing my new, exciting change for Tuned-in Tuesday. Come check out what it is! Love Bunnie's little dress and I would have snapped that sweater up in a heartbeat! LOVE the sweater! I have a white cable knit cardigan that's long and just wonderful. It got a spot of glue on it at our last house when people doing work in the kitchen spilled a bunch and it ran all down in our one closet. I still wear it. I can't part with it over a little speck of glue! This week I'm linking up my post on spring gardening. Over the weekend we transplanted some of my grandma's fig tree and surprise lily bulbs out to our property. It was so nice to play in the dirt again after a long winter. I absolutely LOVE the sweater and those plates are AWESOME! Beautiful sweater and dress! Great finds! I just love thrifting too! Hi Hannah! Love the pretty gray sweater, so cozy! Thanks for featuring my Ginger Day post and for encouraging me to link up my Herbs For Kids page. It is so much fun to share! Have a lovely week.